You don’t have to be a tea-totaler to celebrate the holidays without regret. Most of us choose to enjoy a drink or two at office holiday parties and family celebrations. Thankfully, you can imbibe and still feel good about it! Using fewer processed ingredients and more whole food, plant-based ones in your holiday cocktail recipes will make for a happier tomorrow. Even better, you can choose ingredients that hamper the negative effects of alcohol, without giving up the cocktails you know and love. We chose five classic holiday tipplers and gave them a fresh, plant-based twist. In its original form, this quintessential seasonal bevvie is rough on your body on every front: it’s fatty, sugary and full of animal products. Beyond that, who wants to spend their time making custard just to put it in a cocktail?! Most people buy eggnog in a carton, and even the plant-based options are full of gums and thickeners. Our take on this holiday classic gets its creamy goodness from nutritious cashews and coconut instead. Blend all ingredients except alcohol together until creamy. 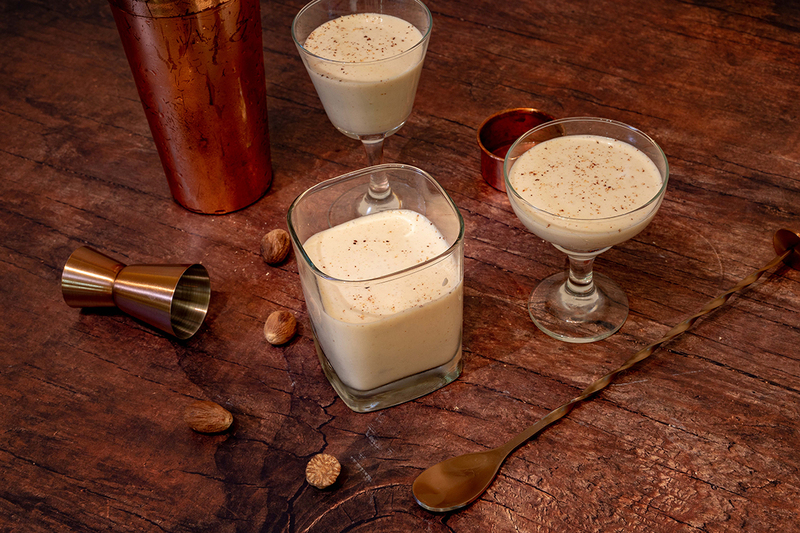 Add spirits to individual glasses when serving, and stir with ice and eggnog to combine. 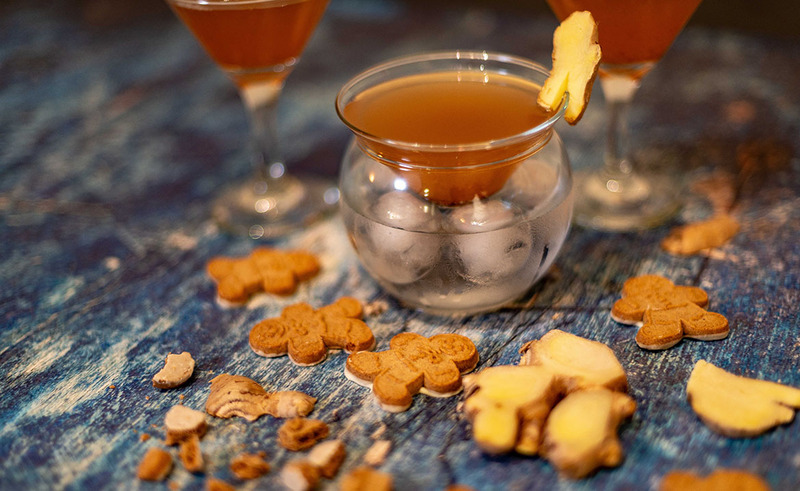 Gingerbread cookies are delish, so it’s no surprise that drinking an alcoholic version of them would be, too. Unfortunately, most gingerbread martinis get their flavor from sugary liqueurs. We chose actual ginger and a splash of maple syrup instead, and added cinnamon to help balance the blood sugar spike some people get from alcohol. For an added indulgence, serve this with gingerbread cookies. Shake all ingredients together in a shaker with ice, then strain into a martini glass. 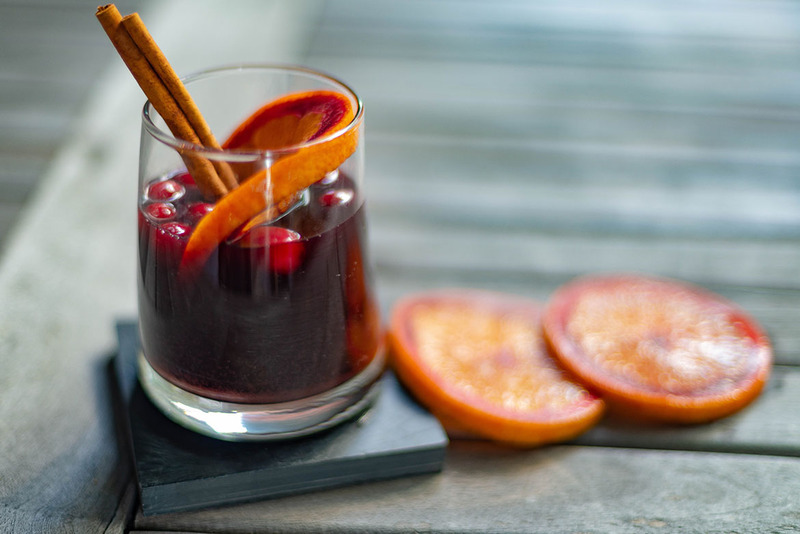 For those times when a glass of wine isn’t warming or wintery enough, mulled wine is a festive batched drink that works well for parties — or a cozy night in front of a fire. The spices add health benefits in addition to flavor, and the addition of fruit juice tones down the alcohol. 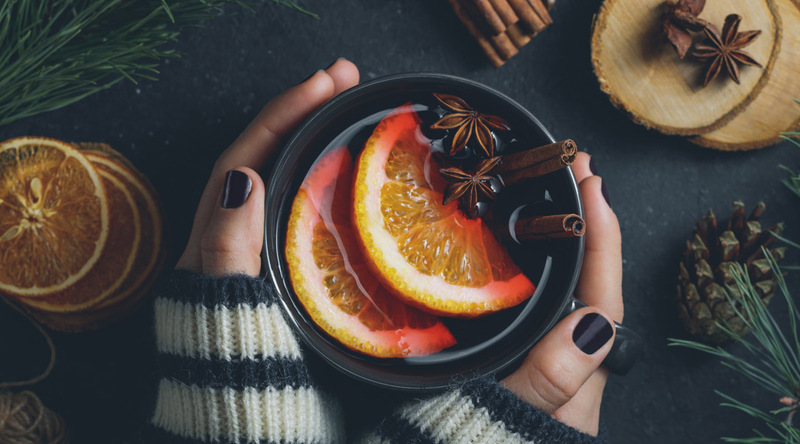 If you can’t find mulling spice sachets in the grocery store, you can make your own by mixing equal parts cinnamon sticks, nutmeg pods, dried orange peel, dried lemon peel, allspice berries and ginger slices, plus ½ the amount of whole cloves as the other ingredients. Mulled wine can be kept over low heat on the stove throughout an evening; just don’t allow it to boil or you will evaporate the alcohol in the wine. Combine all ingredients in a saucepan over low heat. Warm for at least 10 minutes before serving. 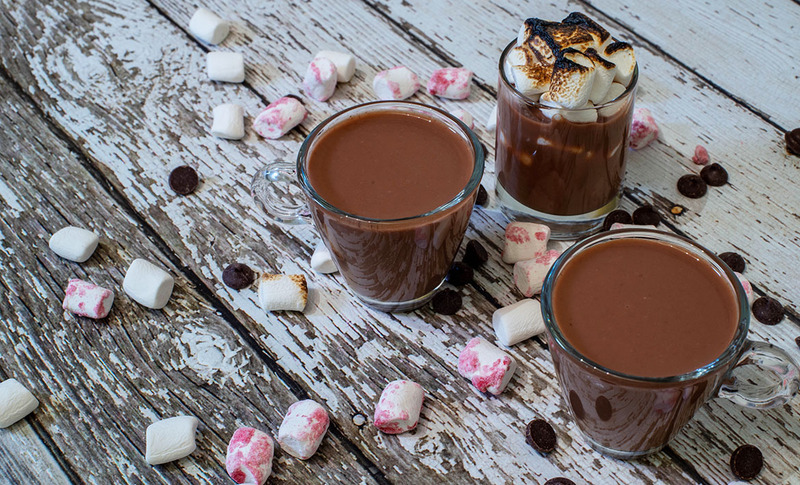 This comforting drink is the perfect way to warm up on a winter afternoon, or ease into dessert after a big holiday meal. Peppermint is known to ease digestion, while chocolate is a healthful food when used in a pure form like cocoa powder, which also gives you the ability to sweeten to taste. To make this kid-friendly, simply omit the alcohol at the end. Whisk all ingredients together in a small saucepan over low heat until well combined and warm. Alternately, heat milk then blend all ingredients in a blender. Not just for brunch anymore, mimosas are the perfect celebration drink, with less alcohol than a glass of straight champagne. Mix in fresh or frozen cranberries to lower the ABV (aka the “proof” of the drink) while adding vitamins A, C, and K. We provide a cranberry sauce recipe, but you can use any you have on hand; it’s the perfect use for leftovers! 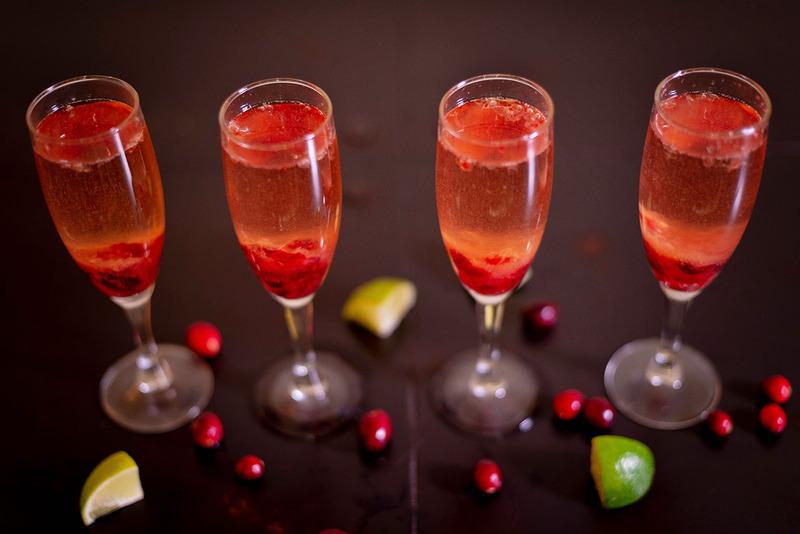 Add sauce to champagne flute, then fill with champagne. Stir gently. Heat all ingredients in a saucepan over med-high heat until boiling, then reduce to a simmer and cook, stirring occasionally, until half or more of the cranberries have broken down, about 10 minutes. Join the OMD family! Sign up for our newsletter, The OMD Beet for a fresh take on the latest news from the grassroots, to delicious recipes to get your tummy rumbling.